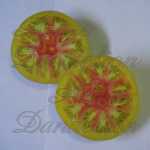 Striped Tomato Seeds for sale. 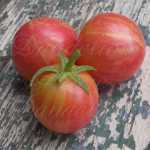 Striped tomatoes are unique, beautiful and full of flavor. 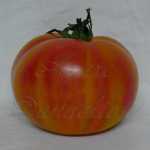 Heirloom Striped Tomato Seeds grown naturally using organic growing practices. 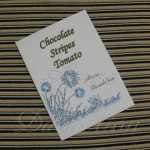 We offer several varieties of Heirloom Striped Tomato Seeds for your organic sustainable living, self sufficient lifestyle needs. 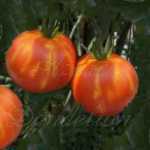 An indeterminate heirloom tomato has a plant habit where the plant continues to grow and has fruit set in all stages, from blossom to mature. 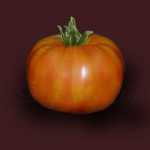 A determinate heirloom tomato has a plant habit where the plant ceases to grow once it reaches a particular size. 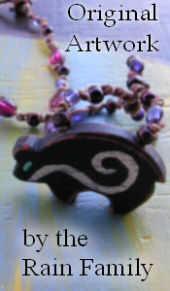 It sets fruits at one time and then tapers off. 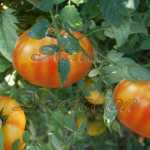 Tomatoes are the most popular vegetable for the home garden. 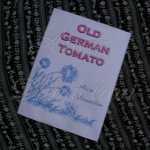 There is an heirloom tomato for almost any need. 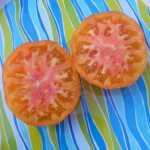 Once you have tasted a fresh heirloom tomato grown without chemical pesticides, you won't want to go back to the supermarket for a tomato ever again. 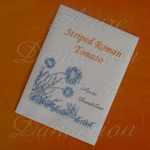 Start seeds indoors 6 - 8 weeks before the last expected frost date for your area. Remember that you are planting the seed, not burying it. 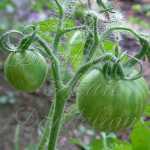 Tomato seeds should not be planted more than 1/8" deep. 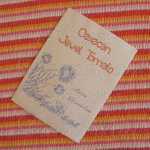 If your soil is heavy, it is better to go a little lighter on covering the seeds as you can always add to the pot as they germinate. Plant outdoors after all dangers of frost have passed, and soil has warmed up. Space plants 1 to 2 feet apart. Plants can be staked or caged for support if needed. 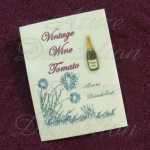 Harvest the fruit when it is fully developed and the proper color for the variety. 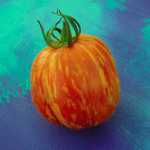 Planting Marigolds or Calendula with your tomatoes will help naturally deter some pests. The paper packets have basic growing instructions on the back. We grow, harvest and handle all of our seeds ourselves.